The work ethic and skills military veterans bring to Hormel Foods play a valuable role in the success of our company. We recognize this and actively recruit and support veterans and their families as they transition to civilian life. Our history of supporting military veterans dates back to 1898 and the Spanish-American War. Company founder George Hormel promised full benefits and jobs upon their return to three employees who enlisted with the Minnesota National Guard. George understood the importance of the unique leadership experiences of our veteran employees and the shared values they brought to the culture and mission of his young company. 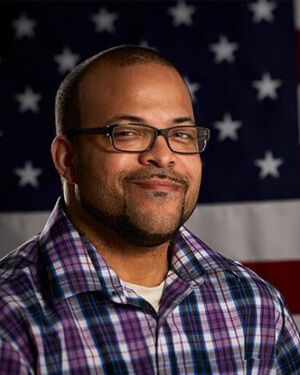 Gaining skills and knowledge difficult to teach in the classroom, Rashad learned how to work within cross-functional teams through his military experience. Our respect for the service and sacrifices of military veterans and their families continues to this day. We are considered a top company for veterans, thanks to our recruiting practices, our culture and our generous policies related to veterans, reservists and their families. One key to our culture is the Hormel Military Veterans Engagement Team (HMVET), a group of volunteers that provides assistance to former and current military members and their families as they integrate into the Hormel Foods family. 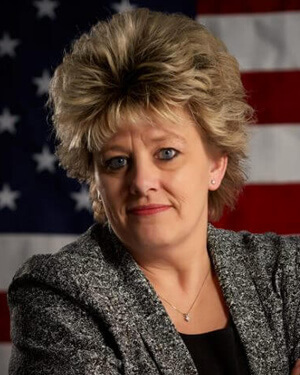 The Army shaped Dawn’s life in countless ways, not only professionally, but personally. Her military experience helped to develop the soft skills required to communicate with all types of people and cultures. The military puts a certain perspective on what teamwork is. It has taught me how to work with all different types of people and cultures. 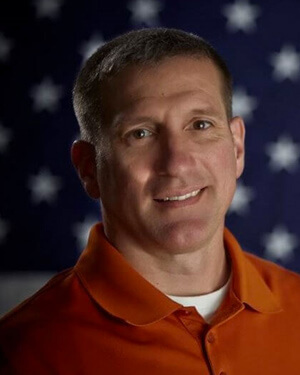 Hormel Foods is a place where veterans can apply the skills they cultivate in service to our country to a work environment and thus, continue making a difference in the lives of others. The military shaped Darin’s character by instilling in him the guiding principles of honor, integrity and excellence in everything. Those values have aligned nicely with the culture at Hormel Foods. The military gave me the opportunity to supervise a wide variety of individuals. The lessons I learned through that experience have been a great asset throughout my career at Hormel Foods. Third-party organizations consistently recognize Hormel Foods for our commitment to military employees and veterans, as well as their families. Hormel Foods was recognized by the Minnesota Department of Military Affairs for making the support and care of service members, veterans and their families a priority. Our veteran employees share what the Beyond the Yellow Ribbon distinction means to them. 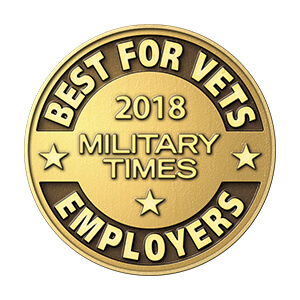 Hormel Foods was recognized for the sixth consecutive year by Military Times, which gave us a spot on its 2018 Best for Vets: Employers list. Rankings are based on a 90-question survey about how companies recruit people connected to the military; their policies related to veterans, reservists and their families; and the organization’s culture. Hormel Foods was designated a Military Friendly Employer by G.I. Jobs magazine in 2013, 2014 and 2015. Recognized employers represent the top tier of companies with leading employment solutions for military service members and spouses. Recognizing supportive employers is vital to Employer Support of the Guard and Reserve’s (ESGR) mission. 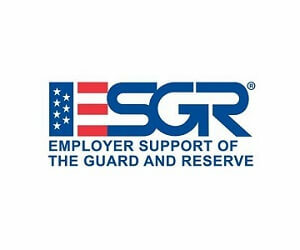 ESGR actively promotes awards as a key element in furthering employer support, while strengthening relationships between service members and employers. These Department of Defense awards honor the sacrifices made by so many employers year after year. Email us to learn more about our military recruiting efforts. 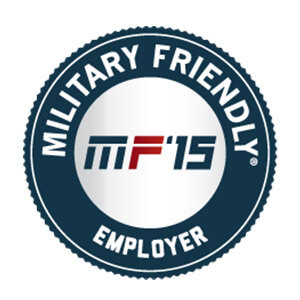 We would love to help match you with a job that fits your military experience.